The BKZXL is the heaviest clamp available at Kemp. 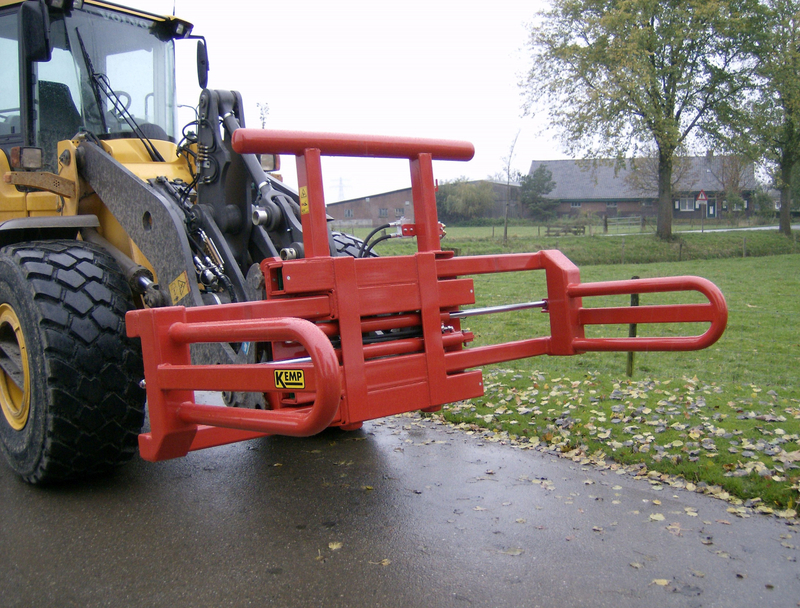 This robust clamp is suitable for wheel loaders and telehandlers. The sliding tubes are 10 mm thick instead of 8 mm and the cylinders are larger than the others. Plastic guidance is mounted in the sliding tubes, which results in minimal wear and a maintenance-free machine. The BKZXL is standard equipped with a check valve and a rack for a 2nd bale. With this rack two bales can be transported on each other. The BKZXL is available in three versions, namely the BKZXL2.300, BKZXL2.600 and BKZXLD. The BKZXL2.300 has a clamping range of 700 - 2,300 mm and the BKZXL2.600 of 800 - 2,600 mm. 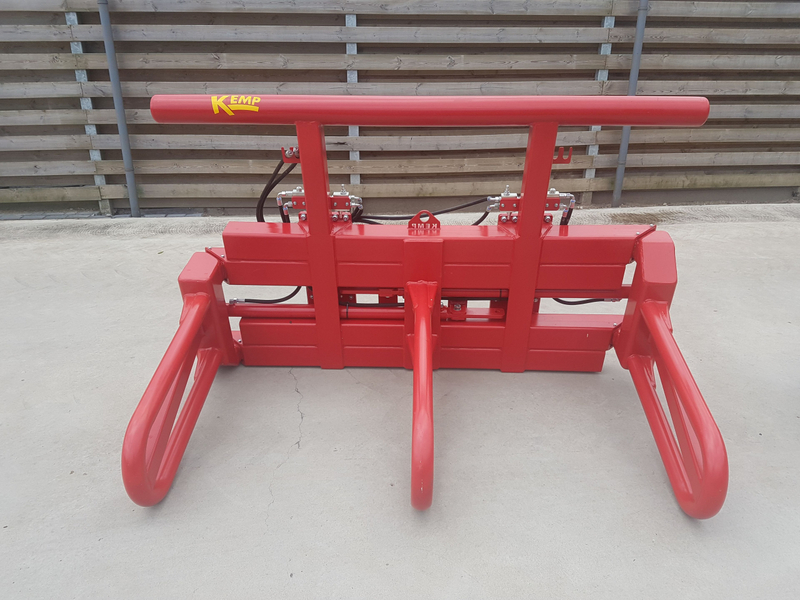 The BKZXLD (heavy bale clamp duo) is equipped with an extra bracket in the middle of the bale clamp, so that two bales can be packed side by side. 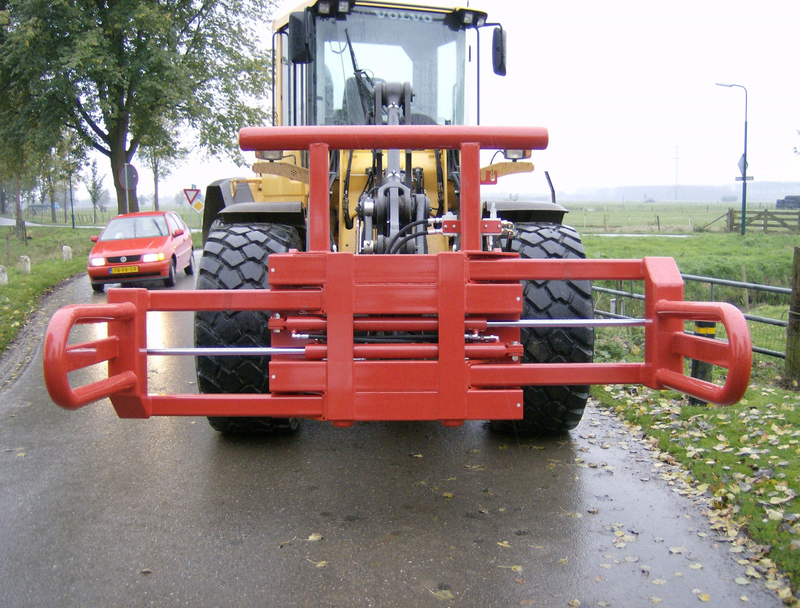 The clamping range of this bale clamp is 900-1,900 mm per side and this is mechanically adjustable to 1,100 - 2,100. 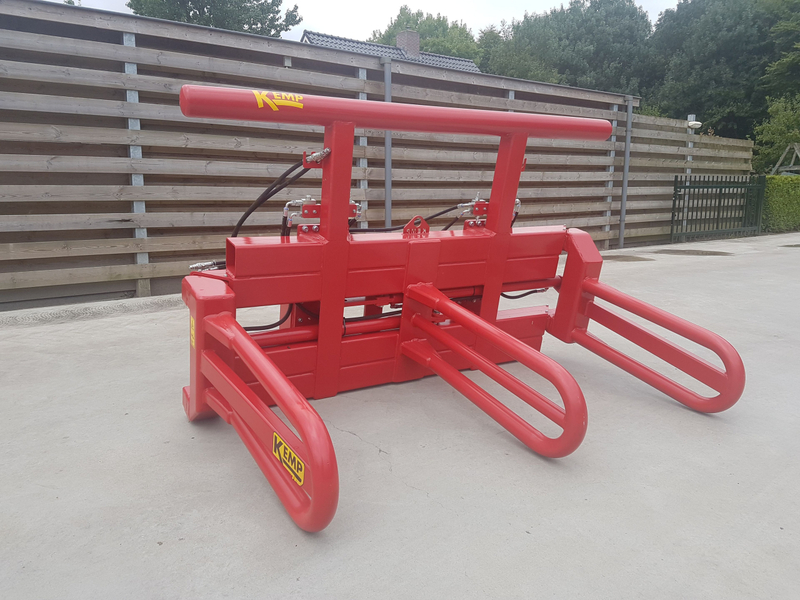 The heavy bale clamp XL is available with the attachments that belong to your vehicle (for the attachment parts, see the document: Kemp attachment parts).